GIMX – GIMX adapts your gaming devices! GIMX is a free software that allows to use a computer as a hub for your gaming devices. It works on Windows® and GNU/Linux platforms. It is compatible with Playstation® and Xbox® gaming consoles. 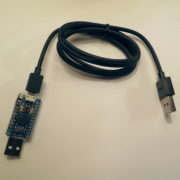 The connection between the computer and the gaming console is performed using a USB adapter – get one on the GIMX shop! – or a Bluetooth® dongle (PS3/PS4 only). The capabilities depend on the platform, the connection method, and the gaming platform. This release adds support for newer Xbox One controllers (with 3.5mm jack). This release brings a few enhancements and a few fixes. Another nice video made by Godlike! Battlefield V – GIMX, Mouse and Keyboard on PS4! This release brings a few enhancements, mostly to the config editors. This release brings a few enhancements.